419. The duties of first sergeant are peculiar to his position, and require capacity and knowledge superior to those of other sergeants. Whilst he does not rank as high as some others, nor receive as much pay, his position is one of the most responsible and most honorable that non- commissioned officers can occupy. 420. The first sergeant is selected by the captain of the company from the other sergeants, without regard to rank, and commissioned by the commanding officer of the regiment. He may be reduced, like other non-commissioned officers, by the commanding officer on the recommendation of the company commander, or by sentence of a court-martial. The pay of first sergeants of artillery, cavalry, and infantry is twenty-four dollars per month, with one ration and an allowance of clothing. 422. Orders received from the commanding officer or other officer by the first sergeant should be communicated to the company commander at once, before being obeyed, if there is time. Under any circumstances, they should be reported to him as soon as possible. Whenever the orderly call sounds, the first sergeant repairs to regimental or post head-quarters to receive the orders or instructions, and, if they are at all unusual, they should be communicated to the company commander without delay. 423. An hour is generally established for assembling the orderlies or first sergeants, usually at noon, for the distribution of orders and announcement of details, and for communicating any alteration in the ordinary routine. The published orders should be copied in the company order- book; and it is best, also, to make memorandums of any other orders or instructions received. 424. He keeps the rosters, and makes all the details; he superintends the company clerk, and assists him in making out all the required papers. These duties are fully explained in “The Company Clerk,” and are, therefore, omitted here. 425. He should memorize the roster of the company in alphabetical order, so that he can at all hours form the company and call the roll, day or night. Much natural shrewdness is required in this duty, to associate in the memory the name, face, and voice of the soldier and his proper position in the ranks; for the men are frequently in the habit of answering for absentees, and if they find that the sergeant can be deceived in this respect they are very likely to practice it on him. 426. There should be a uniform method of forming the company; and there is no reason why there should be a difference in the different corps or in different regiments. The company should be sized. In all the odd-numbered companies the tallest men are placed on the right, diminishing in size to the left, and in the even-numbered companies the tallest should be on the left, diminishing to the right, — the principle being that in each division the tallest men should be on the flanks, and the shortest in the center: the regimental front will thus present a level line, and there will be an apparent uniformity in size of the entire regiment. 428. They should fall in in two ranks, whether with or without arms. With arms they fall in at a shoulder arms instead of at parade rest. The company is formed in the interval between the musician ‘s call and the last note of the assembly when every man should be in ranks; and those who fall in afterwards should he punished for being late. 429. When the music has ceased, the first sergeant commands “Attention!” whereupon the company, if at parade rest, take the position of the soldier, and if with arms, the sergeant adds, “Support arms.” The roll is then called, commencing with sergeants, Adams, Smith, etc., in the order of rank, until all are called; then “corporals,” Brown, Jones, &c., to “farriers;” then “buglers, or musicians;” and finally “privates,” Ames, Brown, Cox, &c., in alphabetical order. As each name is called, they answer, “Here;” and if with arms at a support they come to a “shoulder” and finally to “order arms,” immediately on answering to their names; if with sabres or pistols drawn, they return them to their scabbards. 430. After the roll has been called, the first sergeant turns to the officer superintending the roll call, and reports the absentees by name. If none are absent without proper authority, he reports, “All present or accounted for.” If the officer should then take command of the company, the first sergeant takes his post on the right of the company and acts as right guide. 431. The first sergeant makes out the morning report and signs it, and then submits it to the commanding officer of the company for his signature, after which it is handed in to the regimental or post commander To make it correctly the sergeant should be constantly posted on the changes in the company, as the report is valuable only in proportion to its correctness. It should be a correct statement of the company in order that the commanding officer may each day be able to know the condition of his command. 432. The sick report must always be made up in the morning before the morning report, in order that the report may be accurate as to the number of men for duty. For duty means all the men available for the legitimate duties of the soldier; and the column “for duty” should show the effective strength for actual service of the company for each day. Some understanding is necessary with regard to the men on extra and daily duty, as to whether they are included in the effective strength or not. An order from post or regimental head-quarters would regulate this point. 433. The first sergeant should be quartered with the men, and, when possible, has a separate room or tent. He has general supervision of all the company property, — the quartermaster and commissary sergeant assisting him in the details. He keeps rosters of all the property issued to the men and non-commissioned officers, and sees that the surplus property is cared for and properly stored. 435. He sees that all the other non-commissioned officers do their duty; he holds the chiefs of squads responsible for the condition of their respective squads, and reports to the captain when any one neglects his duty in any respect. 436. He is usually empowered by the captain to confine soldiers and arrest non-commissioned officers for offenses. In these cases he always reports the confinement or arrest to be by order of the captain or company commander He should, however, report the facts in the case to the captain or company commander at once, in order that he may be prepared to sustain him in the act, or correct it if he does not approve of his action. 440. The most responsible duties of first sergeant are those which involve the issue and care of public property and keeping an account thereof. These are principally the issuing of arms and ammunition, and camp and garrison equipage to the men; the keeping of a record to whom and when issued, and the charging of articles lost, or procuring affidavits or certificates if the articles are not lost through the fault of any one; the issuing and keeping an account of clothing; the drawing and issuing of the rations, including the care and disposition of the company savings, and disbursement of the company fund if — as sometimes happens — it be entrusted to him; and, finally, the care of the company property, usually accumulated for the use of the company by purchases with the company fund. 442. The company should be provided with a complete set of marking-implements, so that each article may be marked with the letter of the company, and the number of the man who uses it, and, in some cases, his name or initials. These implements are purchased with the company fund, and usually consist of a set of stencil-plates, a brand of the letter of the company and punch of the same, and a set of numbers for both, to mark articles of wood or iron. The completeness and perfection of these articles add greatly to the security of the company property and to the protection of individuals in the company. 443. Ordnance. — The design is that a company shall draw its full allowance of ordnance; and it is expected to appertain to the company as long as it is serviceable. The regimental armorer keeps it in repair; and such repairs as cannot be made by him may be made by sending to the nearest arsenal. The Ordnance Department requires that the old arms shall be inspected, condemned, and ordered to be turned in before new arms can be drawn. 444. A strict account of the arms, therefore, is necessary, and tends to keep them in good order; for if the soldiers find that they are to pay for every loss or deficiency, they will take as much care of them as if they were their own personal property. The arms should bear the letter of the company and be numbered, and each soldier should have his corresponding number issued to him. If the arms cannot be so lettered and numbered from the arsenal, it can be done by the regimental armorer. 446. When ordnance is sent to the arsenal for repairs, it is boxed up in the same way, and marked for the arsenal to which it is to go. Triplicate invoices are made out, one of which is sent direct to the officer in charge of the arsenal, and the other two to the quartermaster to whom the ordnance is turned over for transportation, who gives transportation receipts for the same. The invoices should be minute as to the nature of repairs required on each article. 448. Clothing. — Clothing is accounted for differently from any other property. It is issued to the soldiers, and their receipt is taken on receipt-rolls, which become the vouchers for the officer accountable for the property. 449. The quartermaster is required to keep the clothing on hand, from whom it is drawn on requisitions signed by the company commander The amount of clothing required for each issue is ascertained by actual inspection; and the actual wants of the soldier should determine his allowance. 450. An officer should be present at the issue to witness the signature of each soldier If there is no officer, a non-commissioned officer must do it. The articles drawn are entered on the receipt roll, opposite the soldier’s name, under their respective headings, and he signs his name opposite, and opposite to it is the signature of the witness, repeated to each signature of the men. 452. The money value of each issue is computed and entered in the clothing-book on the page appropriated to the soldier, with the date of issue, and his receipt or signature witnessed as on the receipt-roll. The price is obtained from the General Order, published periodically, giving the price of the clothing for the army. 454. Camp and Garrison Equipage.—This kind of property, although borne on the return with clothing, is differently accounted for, being reported on hand as company property until worn out, when it is inspected and condemned and ordered to be dropped. Soldiers are not required to pay for its loss, except when lost or destroyed through their fault or neglect. 455. A record of the issues to the soldiers is kept the same as of ordnance. (See Form 5, “Company Clerk,” Par. 41.) The property used in common by squads is issued to the chiefs of squads, whose duty it is to look after the property and report any loss or destruction of it, in order that it may be charged to the proper person if lost or destroyed through the fault or neglect of any one. 456. Cavalry and artillery companies have also a certain amount of quartermaster’s property, which is accounted for on a separate return, in the same manner as camp and garrison equipage. Where there is a quartermaster sergeant in the company, he is usually entrusted with the transportation and storage of all surplus company property. 457. Rations — If there is a commissary sergeant in the company, the immediate labor and duty of drawing the rations and distributing them is entrusted to him; otherwise this is superintended by the first sergeant. 458. The ration is a legal allowance, and the soldier cannot arbitrarily be deprived of it. Yet it has been frequently withheld from the soldier in part, under various pretenses, particularly where the provisions were not on hand for issue at the time. 460. Every regimental or post commissary can provide for the full issue, or, in lieu thereof can pay the money-commutation; and commanding officers should be appealed to where they neglect or omit to do so. 461. When there are no funds on hand with which to commute back rations or such portions as are not on hand for issue, the commissary should give certificates to the companies of the amounts due, which may be issued subsequently, or commuted. This commutation-money on the savings of the rations forms the principal source from which the company fund is derived; and by a judicious management of this fund the comfort of the men may be materially enhanced. 462. A prudent administration of it depends very much on the first sergeant, as the company commander is greatly dependent on him for its proper disbursement. He calls the attention of the company commander to the requirements of the men, suggests what is needed, ascertains where it can be most economically obtained, makes the purchases, and submits the bills to the company commander for payment. 463. The savings of the rations can be sold to the commissary only. (Reg. 1188 and 1234.) There are other sources of revenue to the company that go to increase the company fund. At posts on the frontier, and at permanent stations, the cultivation of a garden, whilst it increases the savings of the ration, may also produce a surplus, which may be sold and the proceeds added to the company fund. So also with the proceeds of any sale of company property. 465. Company Property. — By this is meant, in addition to the public property issued to the company, all those articles purchased by the company fund, or manufactured in the company. Such are the company desk and mess-chest, mechanics’ tools, marking-implements, mess- furniture, company library, etc. 466. By an economical administration of this kind of property the comfort and harmony of a company of soldiers are greatly increased. They feel that the acquisition of such articles is intended for their good, and each man performs his part in taking care of them. 467. The company desk is a necessary article of furniture for every company, in which the records of the company are kept. It is in the personal charge of the first sergeant, and should be made with compartments and drawers for the books, papers, and stationery necessary for a company and requires to be kept with method and order, to facilitate the making out of the various papers required for a company. It should be portable, and have a lid to turn down on which to write, so that it may be set up at any time or place for use. 470. A number of small ones, according to the size of the company, small enough to be easily handled by two men, and conveniently arranged for carrying the small rations and the mess- furniture, have been found to be the best. complete hotel establishment, according to the location and circumstances of the company. At permanent posts they can be well situated in this respect, and have every convenience necessary. When required to move, if not able to take the mess-furniture with them, it can be sold, and a new supply obtained at their place of destination. 473. To enumerate some of them, they are suggested in the order of their importance: — A set of marking-implements, a set of carpenter’s tools, a set of blacksmith’s tools, a sewing-machine, shoemaker’s tools, tinner’s tools, garden-implements, seine or fish nets, &c.
474. A cow, to furnish milk in the coffee, may often be conveniently kept, and several pigs may be fattened every month or two on the slops from the kitchen. A small library of well-selected books is quite an acquisition to the company, gives occupation and entertainment to the men during their leisure hours, and has a tendency to keep them about their company quarters. 475. The foregoing will give some idea to what extent and perfection the administration of a company can be carried. The company is a small colony, which can live in peace, harmony, and comfort or be disturbed by internal commotions and discomforts unendurable, depending, perhaps, more on the first sergeant than on any other person in the company. Much depends upon the captain; but without a competent sergeant to execute his plans, any benevolent designs on his part for the improvement of the company would be difficult to carry into execution. 477. In artillery and cavalry, some additional responsibility in the increased amount of property, different tactics, the less compact rather more straggling nature of the duties to be performed and the consequent difficulty of less discipline of the men, are the principal features which the first sergeant has generally to overcome, or should at least be familiar with before he attains to the charge of the company. 478. The first sergeant, although he should be familiar with all the duties of the sergeants and corporals, is seldom called upon to perform any duty that would remove him from the duties of his own position. He is, therefore, not liable for guard-duty, or fatigue or detached service, unless the entire company is on the same. He is, however, not absolutely excluded from any special service of short duration that it may be desirable, under peculiar circumstances, to entrust him with. 479. The most important task of the first sergeant relates to the government of the company and the preservation of good order and military discipline. This depending chiefly on innate qualifications, definite rules, cannot easily be given. A complete control of temper, good judgment, and a strong sense of justice are essential; whilst a due application to duty and attention to the necessities of the men are also of the highest importance. 480. 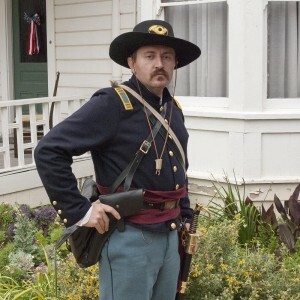 Whilst he is not expected to preserve the same distance between himself and the men that exists between them and the officer, his position, indeed, not allowing of it, he should, however, never descend to familiarity, but should always endeavor to preserve a certain amount of restraint, and select his intimates from the first sergeants of other companies or non- commissioned officers of merit of other grades. 481. A quiet, imperturbable temper, combined with firmness and resolution, will of itself enforce obedience and command respect. Excitability and passion cannot easily be divested of prejudice and injustice, and have a tendency to excite similar feelings in the men. 482. Partiality and favor to individuals should be avoided above all things. The men should be treated with the greatest equality. Harsh and violent treatment, even towards the worst of soldiers, are questionable, if not reprehensible means for governing them. 483. It is rare, indeed, that the practice of summary chastisement indulged in by some orderly sergeants with the unruly characters that are to be found in almost every company, can be regarded as successful. Individual instances, however, exist of very good government where the sergeant rules almost exclusively by physical force; but good judgment in forbearing to a point where the offender has placed himself beyond the consideration of kindness by his conduct, will be found to be the true secret of success in a physical-force policy. 484. Constantly present with the company, always on hand for every emergency, ever consulting the interests of the men and encouraging them in their duties, he cannot fall to attach them to the company, and make them cheerful and content, and faithful on duty.